20 Years Before 2000: Whatever Happened to The Guys Next Door? The Guys Next Door was a sketch comedy show that ran on NBC Saturday mornings from 1990-1991. The cast included Patrick J. Dancy, Bobby Leslie, Damon Sharpe, Chris Wolf and Eddie Garcia. The Guys were an actual band that was signed to SBK/EMI Records. Their song "I've Been Waiting For You" made it onto the Billboard Hot 100 list and they released 1 self titled studio album. The NBC program lasted only 13 episodes, but was nominated for a Young Artist Award for "Best Youth Variety or Game Show". They ultimately ended up losing to The All New Mickey Mouse Club, which is one more reason to dislike Justin Timberlake. I always felt it was NBCs attempt to cash in on the New Kids on the Block craze that was sweeping the United States around this time. Take a look at this episode and decide for yourself. Even though the series was short lived, it did have a pretty big fan following (including my 2 sisters) and they did have some catchy tunes! But, these manufactured boy band pop groups usually have a pretty quick shelf life and The Guys Next Door were no exception. But what happened to The Guys Next Door after NBC evicted them from their Saturday morning lineup and the record label kicked them to the curb? I did some digging and this is what I could find! 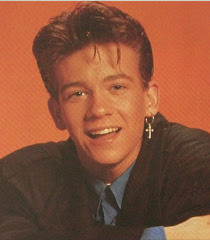 Eddie had been acting for a few years before becoming a Guy Next Door and appeared in the films Breakin' 2: Electric Boogaloo (1984) and Lambada (1990). 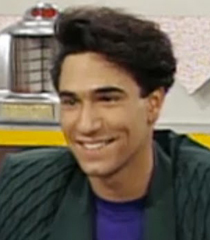 After The Guys Next Door series ended in 1991 Garcia continued to act in various television and movie roles. Most notably in Boogie Nights (1997), Bringing Down The House (2003) and Percy Jackson & the Olympians: The Lightning Thief (2010)! He also took his dance talents on the road and danced for Michael & Janet Jackson and choreographed routines for the Dirty Dancing TV series and Jennifer Lopez: Live In Concert! Like Garcia, Dancy continued to act in television for a few decades after leaving The Guys Next Door in 1991. He appeared in a recurring role on the hit sitcom Family Matters as Ted and appeared as a guest star on the shows Living Single, In The House, The Pretender and NYPD Blue. His last acting gig was in 2004 on the TV series She Spies. 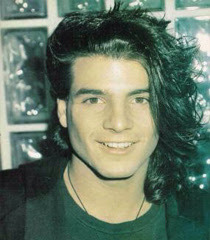 In 1993 he was nominated for a Young Artist Award for "Best Young Actor Recurring In A Television Series". He lost to Aeryk Egan & Bumper Robinson. They tied for the award. Wolf had been an actor for several years before becoming a part of The Guys Next Door and some might argue that it was his best work. He acted in the films Police Academy 6: City Under Siege (1989) and Tango & Cash (1989). After The Guys Next Door his most high profile role may have been his turn as the Swamp Creature on the television show Big Bad Beetleborgs! 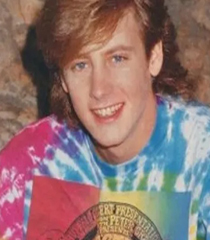 After the cancellation of their TV show, Bobby Leslie has never acted again and I really can't find much info on what he has been up to since! The Guys have reunited a few times recently, but Bobby has been nowhere to be found. Probably the most famous of all The Guys Next Door alumni, Sharpe has created an amazing producing and songwriting career for himself. Over the years he has worked with such A-list talent as Ariana Grande, Jennifer Lopez, Pitbull and Nelly just to name a few. He did act on few television shows after Guys. You may have seen him as a Male Student in the Buffy The Vampire Slayer episode "I Robot...You Jane". 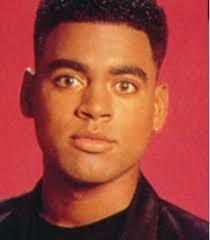 But his biggest on screen contribution was probably his role as a vocal coach on the hit television series The X Factor. So there it is, a brief update on where the Guys went after they left next door. It was a short period of time where their star shone bright, but damn it was a hell of a ride. They even had their own board game for cryin' out loud! If that doesn't count as AWESOME, I don't know what does? Just like every other boy band of the early 90s they left us too soon, but at least they left us with some freakin hot jams!!! Thank you Guys Next Door and may God bless you wherever you are! For more investigative reporting on some of your favorite icons from the 80s & 90s, check out the posts below! Whatever Happened to Billy Ocean? Whatever Happened to Chip & Pepper? I've never heard of them .And to think they've been next door the whole time. It was a pretty short lived series, but when you live with 2 teenage sisters you get trapped in a lot of the stuff they are into! Bobby Leslie has been living in Florida since. Recently moved back to new York. Has been a very successful computer programmer and plays guitar at local open mic nights in the area as a hobby. Wow! Great to know. Glad he is doing well and I wish him all the best in his future endeavors! If you know how to get a hold of bobby, please let him know that damon is looking for him for the reunion! This was my favourite show when I was in elementary school! I didn't realise it was so short, it felt like it lasted longer than this. I remember they her a special on NBC about their tour that featured Kelly from Saved By The Bell saying how cool they were. I was inspired to Google them because we're moving into our first house we just bought, and while I was packing the garage I found my Guys Next Door CD! "Dance All Night" is still a grade A banger! Not a problem. Glad I could provide you with some new info on the Guys! I know right? They should get the Guys together for an epic small venue US tour! They came to my local mall when I was in middle school and my friends and I all met them and got their autographs. I know I still have pictures of them from that day that I took too. Chris was my favprite haha. God I feel old now thinking about them. That is an amazing experience one I am sure you can pass on to the next generation. Like was said before. You're only as old as you feel! Absolutely adored this short tv series (Patrick Dancy was my fave). "Treasure" was one of their best (and my fave) songs besides "I've been waiting for you"! Definitely miss this show! I think I might've been just like your sisters, I was obsessed with this show and remember getting my parents to buy me the cassette-tape version of the album, which got a total thrashing every time they drove me anywhere! 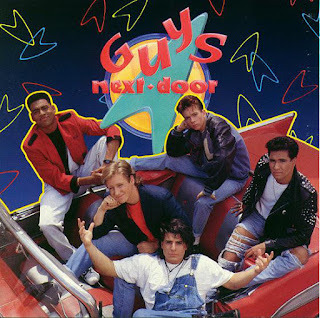 I still have the "Guys Next Door" theme song in my head right now and was thinking about the band again after NKOTB released their 30th anniversary version of "Hangin' Tough" and remembered that I enjoyed Guys Next Door so much more! I had no idea what had happened to them, so thank so much for this well-researched flashback!